Acclaimed author Cynthia Lord received the Newbery Honor for her debut novel Rules, which School Library Journal called "a lovely, warm read." 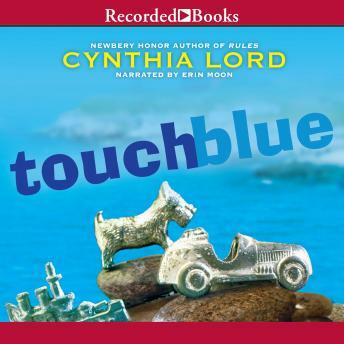 In Touch Blue, Lord pens a moving tale about the meaning of home. Tess is heartbroken when she learns the state of Maine is about to shut down her small island's schoolhouse, forcing her family to move to the mainland. But Tess' parents have a plan. Increasing the school's attendance by having families take in foster children just might change the state's mind. Tess is sure the plan will work, but she makes a wish on some blue seaglass just in case.